When cold weather hits, homeowners turn on their furnaces, many thinking about nothing but getting warm. This is a mistake. Carbon monoxide (CO) poisoning is a risk of turning on that furnace. According to the Center for Disease Control, carbon monoxide poisoning accounts for approximately 430 deaths each year and is the cause for over 15,000 visits to the emergency room. Sadly, these deaths and injuries could have been prevented with a simple CO detector. 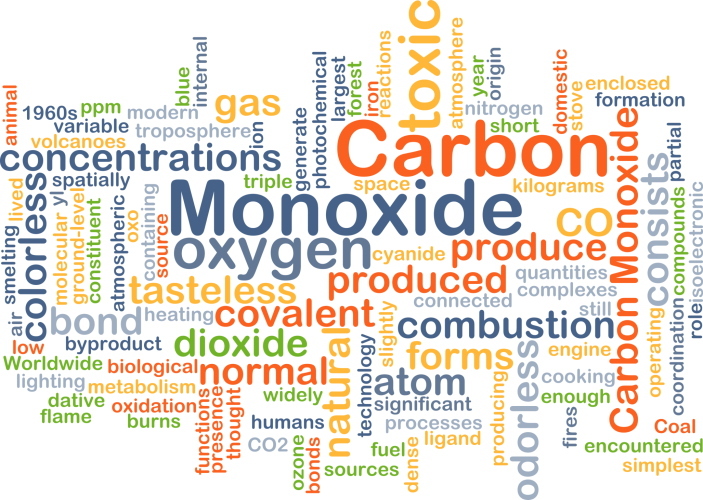 Carbon monoxide is a gas that is emitted when fuel does not burn correctly. It can come from almost any type of fuel, including gasoline, coal, wood, propane, and heating oil. The gas from this unburned fuel is odorless. It does not have a taste. That’s why it’s so dangerous. It’s virtually undetectable. Although a malfunction in the furnace is one of the most common causes of carbon monoxide in the home, it can come from many other things, including clothes dryers, ovens, a backed-up chimney flue, or a car running in a garage with the door closed. When you’re exposed, carbon monoxide enters your lungs and gets into your bloodstream, reducing the amount of oxygen in your blood. Unfortunately, this can lead to permanent damage or death. You might feel shortness of breath or have a headache. You may simply feel tired and nauseated. Too often, people feel that they are coming down with something and don’t realize they’re slowly being poisoned. This is why the results are often deadly. Many people, thinking they are sick, crawl back into bed thinking they will eventually feel better. Instead, they are allowing more poison into their system. While carbon monoxide cannot be detected by its odor or taste, you can protect your family by installing CO detectors in your home. The carbon monoxide detector is one of the most affordable measures of detecting CO. There are several different types of detectors available for homeowners. From the opto-chemical that uses chemical reactions to detect the gas to the digital detector that allows you to observe the current levels of the gas, the choices may be a little confusing. The important thing to remember is that the detectors will alert you to a potentially dangerous situation by emitting an alarm when the gas is detected. If you have a security system in your home, you may also be able to have a detector installed through the company and have them monitor it. If you purchase a detector that operates with electricity, it is very important to make sure you have a backup detector that will run off batteries. 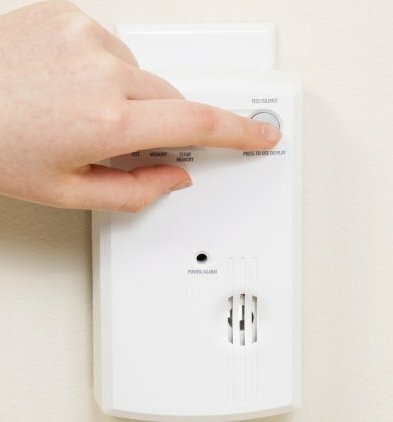 What is the Best Location For a Carbon Monoxide Detector? The placement of carbon monoxide detectors is very important. Like smoke and fire alarms, the detectors should ideally be placed on every floor of your home, especially outside bedrooms. If you already have CO detectors, replace any built before 2008. Replace batteries in your detectors every year or choose models with 10-year sealed lithium batteries that never need to be changed. What Do I Do if My CO Detector Alarm Sounds? If your CO detector goes off, the important thing is not to panic. Get everyone outside immediately and stay out of the house! 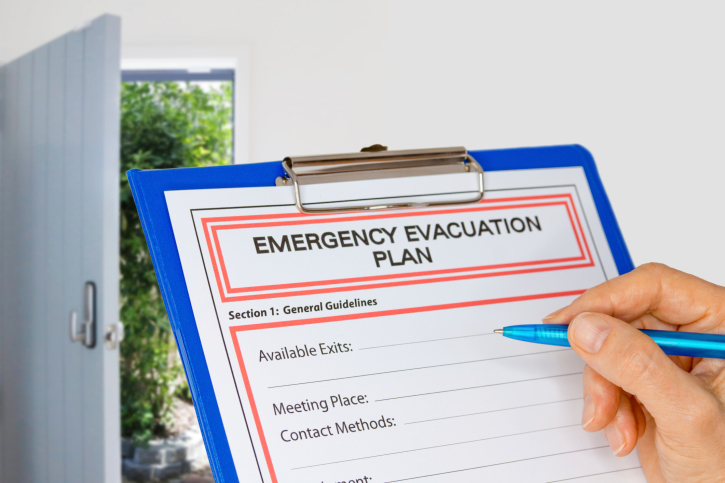 Ideally you would have an evacuation plan in place so everyone knows what to do in case of an emergency. Exposure to CO reduces your ability to think clearly, so don’t delay if your alarm goes off and you sense a problem. If anyone has symptoms, you will need to call 911 for assistance. 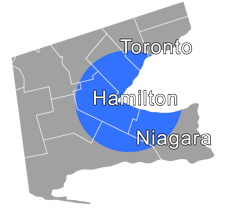 You will also need to call a professional heating technician in to determine the cause of the CO leak. Carbon monoxide poisoning is a serious issue that every homeowner needs to be concerned about. By placing detectors in your home and educating your family about the potential dangers, you can protect yourself and your family from this potentially harmful gas. Contact Shipton’s today if you need any help or advice.